Ted & Marshall. 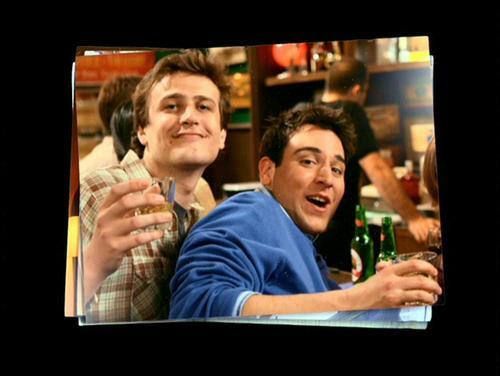 These were the imej shown at the start of the pilot.. HD Wallpaper and background images in the How I Met Your Mother club tagged: how i met your mother himym image picture pilot marshall eriksen ted mosby maclarens bar. This How I Met Your Mother photo might contain televisyen penerima, televisyen, tv, tv set, kotak bodoh, tiub bodoh, pesawat televisyen, kotak goggle, penerima televisyen, set televisyen, peti bodoh, orang bodoh tiub, and peti goggle.